The Mountain States Cup Gravity Series Finale was wrapped up with smiles, sunshine and exciting racing this past Labor Day weekend. 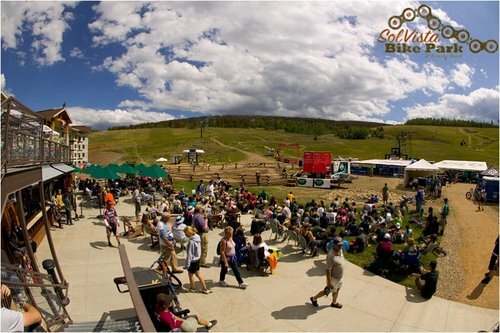 The SolVista Bike Park was proud to host the Sol Squared G3 stage race as the final event on the MSC gravity schedule. 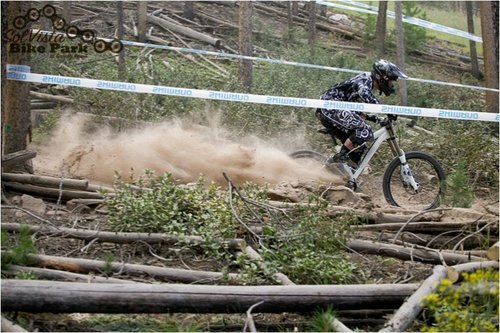 Pics and video inside.The Sol Squared G3 event completed the 2008 Gravity Series calendar and crowned Chris Boice (Albuquerque, NM - Yeti/Fox Shox), Kain Leonard (Gunnison, CO - Crested Butte Academy) and Cody Wilderman (Durango, CO - Team Totally Wired) the Pro Men Gravity Series Champions. Rachel Bauer (Aspen, CO - Team Dead Bros), Nevin Steinmetz (Boulder, CO - Team Totally Wired) and Darian Harvey (Durango, CO - Sobe Cannondale) took the overall series titles for the Pro Women. 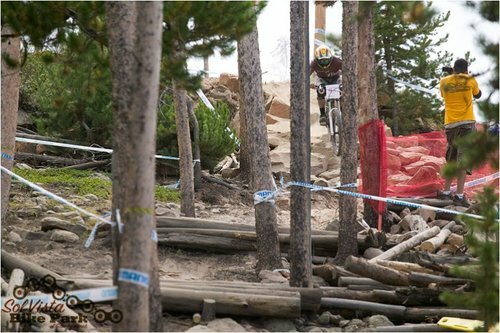 The G3 format is a 3 run downhill stage race. Competitors race on 3 different tracks and combine their times from each run. The overall fastest combined time wins. Race 1 was held on the technical and jump-filled Cheez-it and Ashy Larry trails. 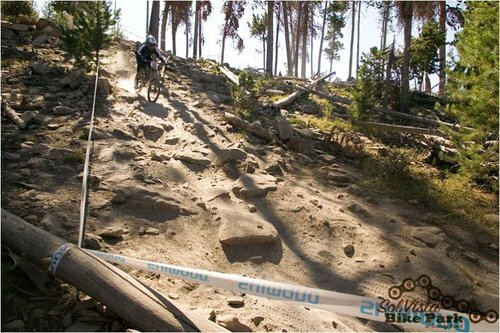 Race 2 was a chainless howler down the smooth, flowing berms of Silky Johnson. 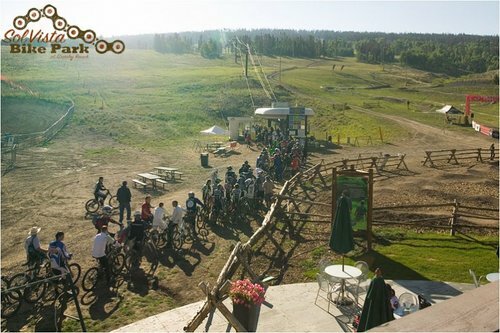 All the riders who participated in the chainless event were excited about the format and expressed interest in carrying on the chainless tradition into the 2009 season. 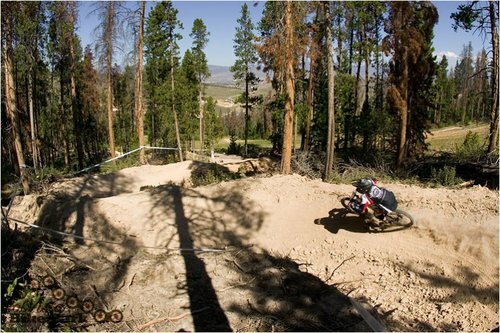 The final race was the most demanding as the rough, high-speed natural downhill and Thunder Huck jump of the Buc Nasty trail pushed exhausted riders to their limits. The Pro Men's class was swept with ease by World Cup competitor, Aaron Gwin (Morongo Valley, CA). He won each stage with commanding leads and created a combined lead of nearly 17 seconds with his total time of 9:20.91. Chris Boice finished second with Joey Schusler in third. Rachel Bauer took the women's victory with an 11:26.64, followed closely by Jacqueline Harmony with an 11:38.18. 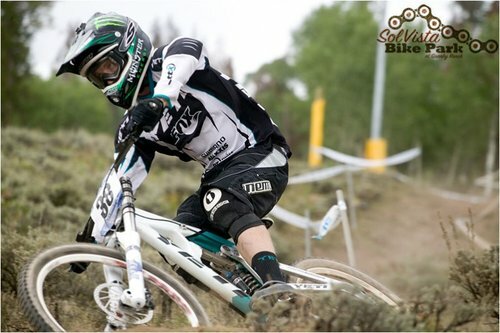 The SolVista Bike Park would like to thank Bigfoot Productions, CJ Timing and the Mountain States Cup for a flawless and perfectly run race event. Every facet of the production ran smoothly, from registration to the posting of times. Additionally, thanks to all of those who came to compete, spectate and enjoy everything Granby Ranch has to offer the outdoor enthusiast. 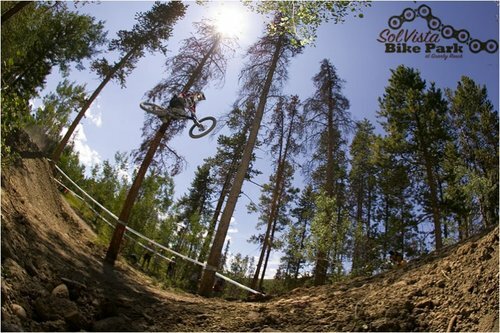 Because of demand, the SolVista Bike Park has extended the riding season. The park will be open Friday, Saturday and Sunday through September 28, 2008. Visit www.bikesolvista.com for times, prices and information. Video trail tours will show you all the exciting terrain the mountain has to offer. And don't forget that SolVista will host the 2009 U.S. National Championships! One of the best races i have ever been to! 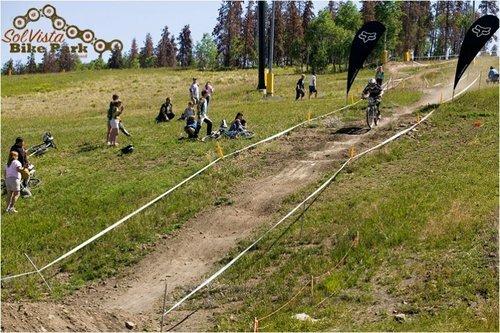 That looks like a sick trail to race!! 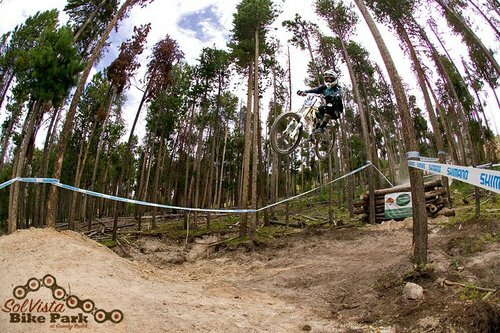 yeah, we need more true bike parks in the US. Sol Vista has a sweet program and cheep lift tickets and awesome trails. not bad id love to go to one of them!! 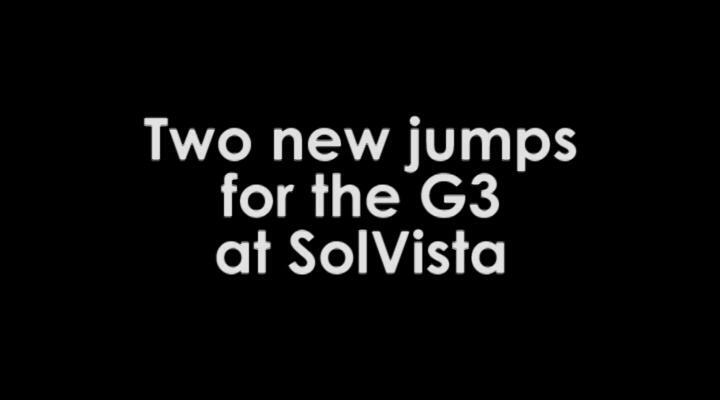 sol vista is a great place to ride. collegiate and open races there this weekend i'll be there! WHY WE CAN'T HAVE SOME THING LIKE THIS AT BLUE MTN IN ONTARIO?